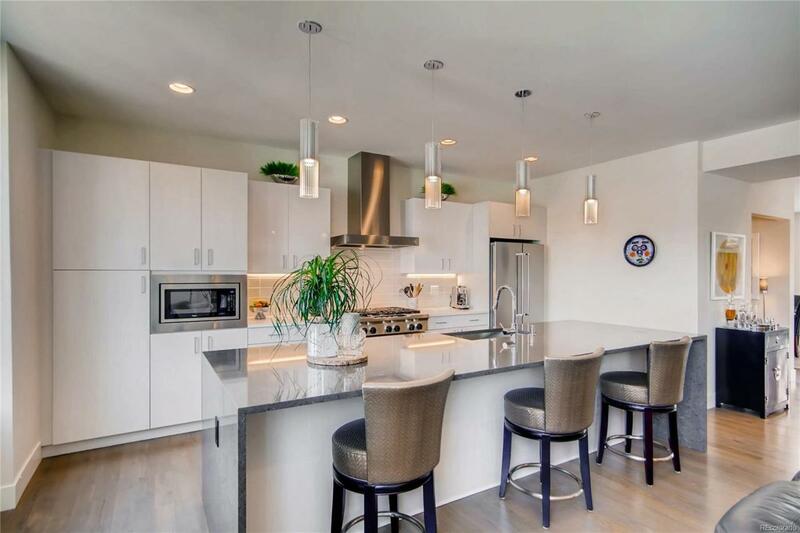 Located in the heart of Highland, this pristine townhome offers a spacious floor plan, thoughtful details/updates throughout and impressive city views. This end unit is located steps from everything in LoHi and situated on a community courtyard. High-end finishes throughout make this home a dream for entertaining as well as everyday living. The kitchen fills with light from East facing windows and hosts an expansive center island adjacent to the living room. The spacious rooftop deck provides one of the most outstanding views of Denver. The master suite has a five-piece bath and walk-in closet. Two additional bedrooms with beautiful views provide a flexible layout. A gorgeous light filled dining room, media room/den with wet bar and 2-car oversized garage with storage complete this magnificent home. Don't miss out on this opportunity to move into this desirable home and location!